Life is a series of transitions... Birth & childhood, adolescence & adulthood, commitment to a partner, career, home & family. Ultimately, our journey takes us Home again. I invite you to celebrate these rites of passage in personally meaningful ways. Offering colorfully creative ceremonies is one of my greatest joys and being part of YOUR special day is an honor. I am happy to meet with you in person or via Skype to begin the process of co-creating your ceremony. Since you are a unique individual, your ritual should reflect that. Please contact me for more information. Rev. 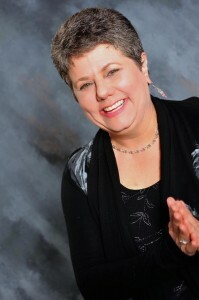 Edie Weinstein, MSW is a graduate of the New Seminary in New York City, Reiki Master and an ordained Interfaith Minister assigned to the staff of The Interfaith Temple. She earned a Bachelor of Arts Degree in Psychology from Glassboro State College (now Rowan University) in 1981 and a Master of Social Work Degree from Rutgers University in 1985. Since that time, she has worked with individuals, couples and families facing life challenges. Much of her personal experience informs her professional practice as she was widowed in 1998 and became 'an adult orphan' in 2010, following the deaths of her parents (her father in 2008 and her mother in 2010). Edie is permitted to perform legal wedding ceremonies throughout the United States. Fees will vary depending on distance traveled and needs of the couple.